This week, Toronto trio Rival Boys released their new EP Ice Storm. To celebrate, they've shared a video for the song "Sober & Single." Depending on your outlook, being sober and single is either a good or bad thing. 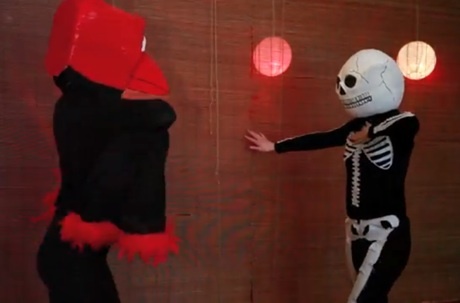 Thankfully, the video avoids a literal interpretation of the song title, which would be rather boring, and instead focuses on a person dancing in a skeleton costume, eventually joined by a red bird. Watch the video for "Sober & Single" below.